1) Debt Forgiveness at the state level. The Federal Mortgage Debt Forgiveness Act was recently extended for another year. While debt forgiveness in now extended for another year at the federal level, this same forgiveness has not been extended at the state level in California. According to a press release from the California Association of Realtors, Senate Bill 30, which was recently introduced by Senator Ron Calderon (D-Montebello), would exempt the taxation of forgiven mortgage debt at the state level. The bill was referred to the Committee on Government and Finance on January 10, 2013. 2) Homeowner Bill of Rights went into effect on January 1, 2013. ForeclosureHelpSCC has translated the information about the Homeowner Bill of Rights into Spanish (“La Declaración de Derechos de los Propietarios de Vivienda en California”) and Vietnamese (Luật Dân Quyền cho Chủ Nhà ở trong Tiểu Bang California”). We encourage homeowners to remind their banks and servicers about this new law in California, especially the ban on dual tracking, the required single point of contact, and the new protections for tenants in foreclosed home in California, which is now 90 days. 3) Litton Loan Servicing and Saxon Mortgage companies both agreed to settlements similar to the Independent Foreclosure Review process that was dramatically changed in January. The settlement will include $232 million in direct payments to homeowners and $325 million in “other assistance.” You can see a press release about their settlements here: Goldman Sachs and Morgan Stanley have reached agreements in principle with the Federal Reserve Board to pay $557 million in cash payments and other assistance to help mortgage borrowers. 4) Scam letters continue to target homeowners: Homeowners visiting our office for a housing counseling appointment continue to bring in official-looking letters from companies that are offering modifications, debt forgiveness, and other assistance with mortgages. As a reminder, it is ILLEGAL to charge an upfront fee for a loan modification in California. Also, when a homeowner stops paying their mortgage, a Notice of Default can be filed by the bank or servicer with the County Recorder’s office (after you miss the second mortgage payment). This is public record, and people use this information to send out official looking notices/advertisements to homeowners. It is really important to carefully read any mail you receive. Also, be very cautious about companies that contact you who promise or guarantee they can modify your loan. At the end of the day, it is your bank or servicer (and possibly the investor who holds your mortgage) who will decide whether or not the loan is modified. 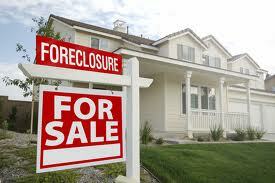 5) Foreclosure Crisis continues in California: While the numbers of Notices of Default have reduced, a recent Realty Trac report indicates that California is still in the top ten in terms of foreclosure rates, and one out of 430 homes has a foreclosure filing in California. Nếu bạn là một sinh hoạt chủ sở hữu nhà ở San Jose hoặc Sunnyvale và đang đấu tranh với nợ nhà, xin vui lòng liên ForeclosureHelpSCC, một chương trình được tài trợ bởi thành phố San Jose và thành phố của Sunnyvale ở (408) -293-6000 hoặc truy cập trang web của chúng tôi: www.foreclosurehelpscc.org. Nhân viên tư vấn của chúng tôi đã được HUD chấp thuận có thể giúp bạn đánh giá các lựa chọn của bạn, tìm hiểu thêm về các chương trình của liên bang và tiểu bang có thể giúp bạn với các vấn đề thế chấp của bạn, và sẽ giúp bạn tạo ra một kế hoạch phía trước.